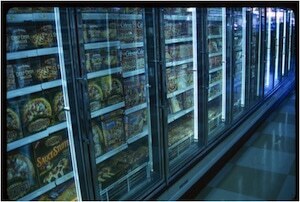 Thousands of people are injured in supermarket accidents every year. Generally grocery stores and supermarkets are well kept, but with the volume of foot traffic of shoppers and consumers accidents and injuries are bound to happen. That is where the Miami Supermarket Accident Lawyers of the Wolfson Law Firm can help. Just call us at (305) 285-1115 for your free consultation. We can meet with you and explain what you should know about slip and fall accidents as well as what you should do after a slip and fall accident. You never pay a fee unless we recover for you. Supermarkets are regulated by state and federal agencies like the FDA (Federal Food and Drug Administration), and OSHA (Occupational Safety and Health Administration). Injury claims are of great concern to supermarket owners and insurers. Insurance companies evaluate each company and each store for the safety procedures and policies that are in place. Insurance companies need to evaluate risk and to do so they need to know what the grocery store and supermarket do to keep their individual stores clean and how they hold employees accountable. Much of the analysis comes down to record keeping. Employee checklists for cleaning and inspections often become central to determining fault and liability. Supermarket corporations and insurance companies will require regular inspections of the supermarket and the parking lot to minimize injury claims and to enhance their opportunities to defend supermarket injury claims. Video surveillance is also used for the purposes of defending the supermarket in personal injury claims and to also deter shoplifters. However, getting a copy of the supermarket video surveillance can be difficult. Our Miami Slip and Fall Lawyers regularly go to court for our clients to ask the judge to compel the supermarket to produce closed caption video surveillance tapes. It is critically important for you to select the right Miami Personal Injury Lawyer who will fight for you and your family. Always make sure to be an informed consumer – ask about your attorney’s recent results and his or her qualifications before hiring anyone. The Miami Slip and Fall Attorneys at the Wolfson Law Firm have represented clients injured in all of these types of supermarket accidents. Just call us today at (305) 285-1115 for you free consultation. The medical portion of your personal injury case is very important. Your supermarket accident injury attorney must work with your medical providers to gather your bills and reports. These reports and bills, and other types of evidence, will form part of the foundation for your settlement demand and, if necessary, your jury trial. Wolfson Law Firm and their Supermarket and Grocery Injury Accident Attorneys in Miami can help you. The Wolfson Law Firm has helped the good people of Florida who were injured in supermarkets for over 60 years. They are available for a free consultation right now. All you need to do is call (305) 285-1115. 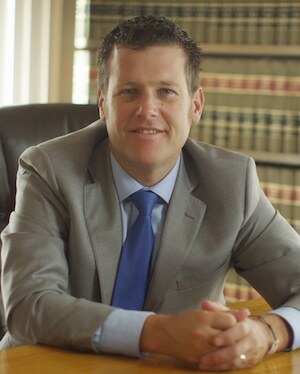 Our managing attorney Jonah Wolfson is a bilingual personal injury lawyer in Miami. He is available to speak with you in English or Spanish anytime. Jonah and his team help people injured at Aventura Mall, Dadeland Mall, Dolphin Mall, Merrick Park Mall, the Fontainebleau, Miami International Airport (MIA), and clients from Miami Beach, Miami Gardens, Little Havana, Ojus, Kendall, Homestead, Flagami, Coconut Grove, Tamiami, Allapattah, Brickell, Coral Way and all throughout Florida.